Yesterday saw the Dandenong Ranges branch of the National Trust turn 20. People came from near and far to celebrate the occasion and remember past challenges of protecting our heritage buildings. The Dandenong Ranges National Trust have played a key role protecting our heritage sites over the years. Providing advice to a range of bodies, including council and community, about the heritage values of various sites across the region. 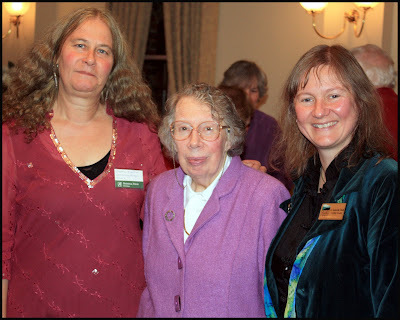 Dianne Kueffer, Betty Marsden and me at the heritage listed Marybrooke in Sherbrooke. Dianne is current President of the Dandenong Ranges National Trust, she is passionate about local heritage and fights vigorously to protect heritage buildings in the Shire. 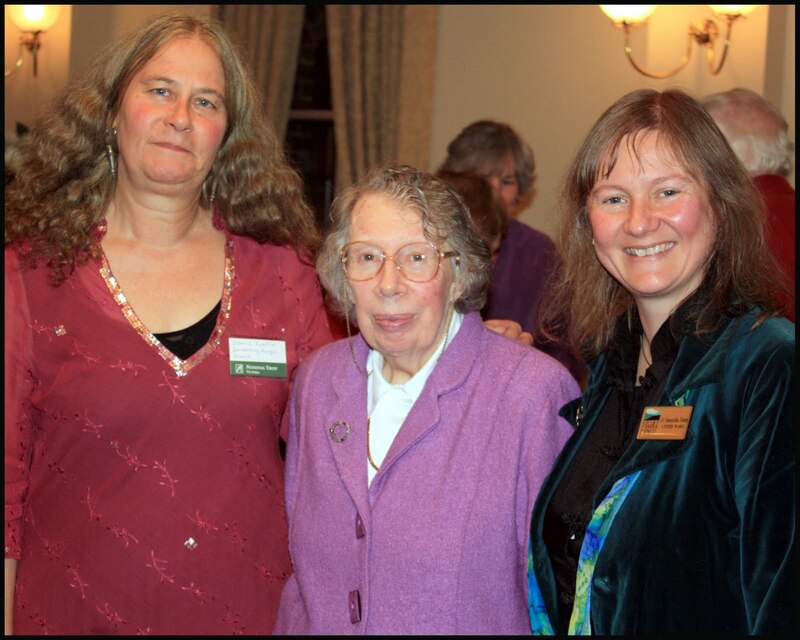 Betty is a member of the Dandenong Ranges National Trust, among many other organisations. An ex Sherbrooke Councillor, Betty has had a proud history of fighting for our built and natural heritage. Belgrave is very fortunate to have two National Trust sites, Dr Jorgensen's house (Earthly Pleasures) and the Cameo Cinema. Both are well loved by our community and cement the need for groups like the National Trust to be out there working to protect our history. Speakers paid tribute to the local branch, their efforts as a volunteer organisation and the importance they play in protecting our heritage. It was particularly fitting that the 2nd May was the Dandenong Ranges National Trust anniversary day, coinciding with the Great Train Race in Belgrave. The famous trestle bridge in Selby, which is a breathtaking part of the journey on Puffing Billy, is also classified by the National Trust. 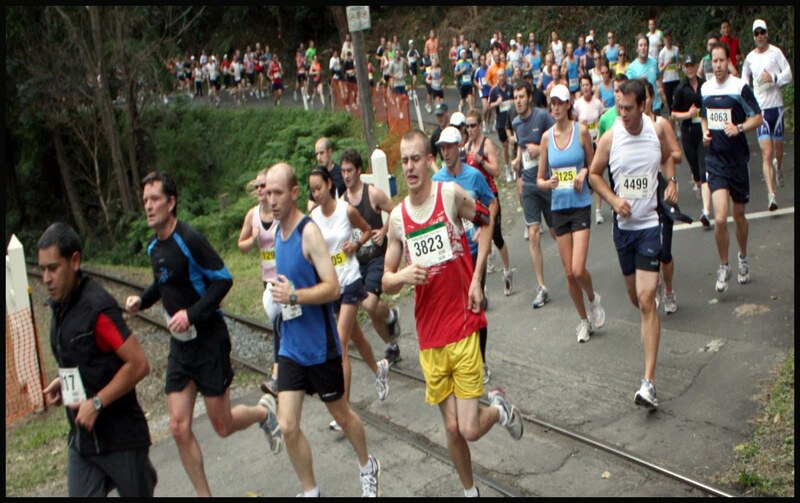 It is always a terrific sight to see our local roads overflowing with runners keen to beat the train. More and more community members come out each year to support the event from the sidelines. In its 29th year the Great Train Race sees 3,000 runners take on Puffing Billy on a fun run to Emerald Lake Park.